Solanum lycopersicum. Indigo/Red Cherry. 65-70 days. Indet. 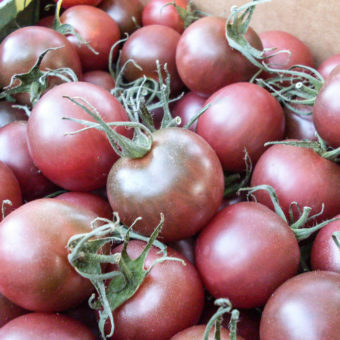 Delicious and very unique dark-purple topped, red cherry tomatoes, this newly available tomato color is referred to as indigo. 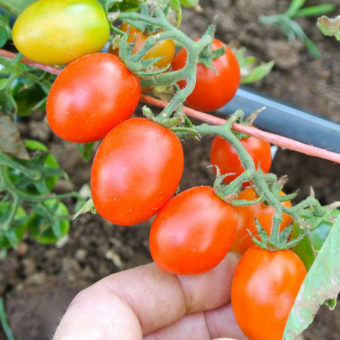 Disease resistant plants have a purple blush and easily grow to 6′. After we trialed many of the new indigo tomatoes, we decided that Dancing With Smurfs is one of the best tasting. 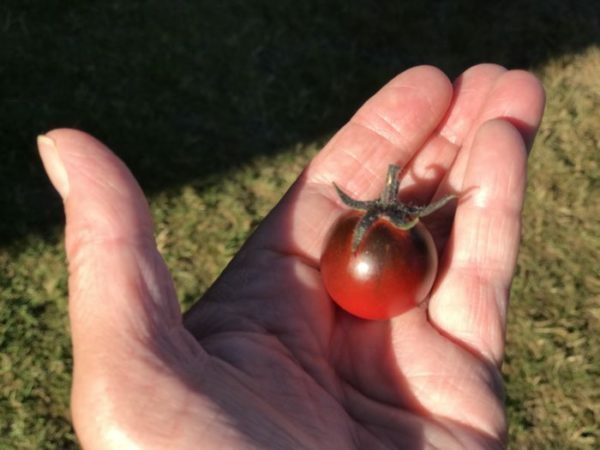 The purple/black color of these tomatoes comes from a natural cross made by Jim Myers (professor and plant breeder at Oregon State University). 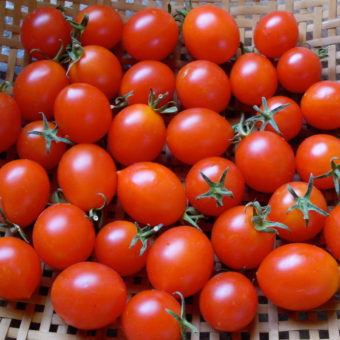 His original releases were then further developed by many independent tomato breeders. 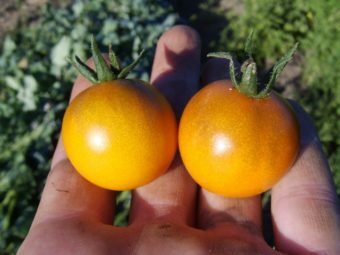 This particular variety was bred by Tom Wagner from Everett, Washington, the founder of Tater Mater Seed, and the famous breeder of Green Zebra tomato. First offered commercially in 2012 by New World Seeds and Tubers. It’s pretty to look at. Not my favourite flavour. Sweet enough. But mine turned out with tough skins.